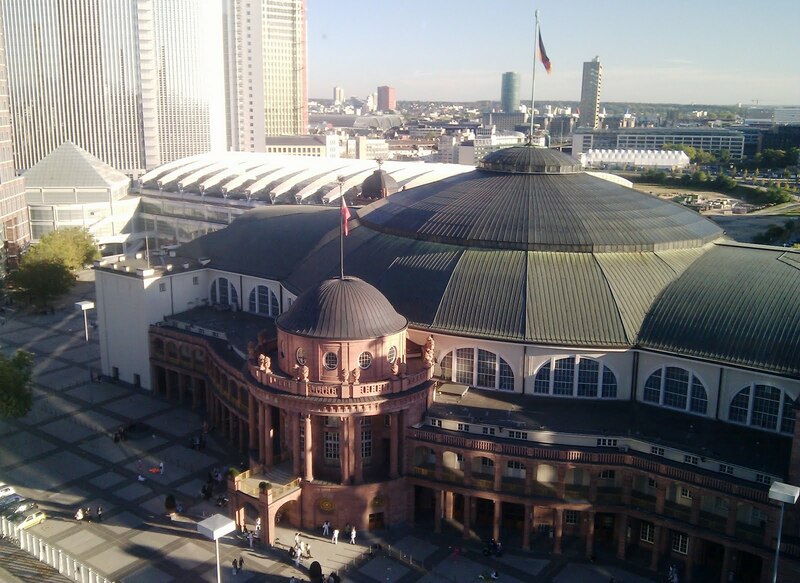 The Frankfurt Book Fair wrapped up Saturday, and today I made my way to Berlin. The fair was, as always, intense and interesting and crazy amounts of fun. All day meetings with publishers are exhausting, but they are very enthused about the program, so the feedback was positive. 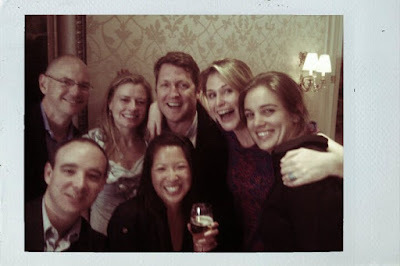 Every night we had a raucous team dinner that ended in raucous bar antics. There were about 40 of us in from all over the world, and we made the most of it. 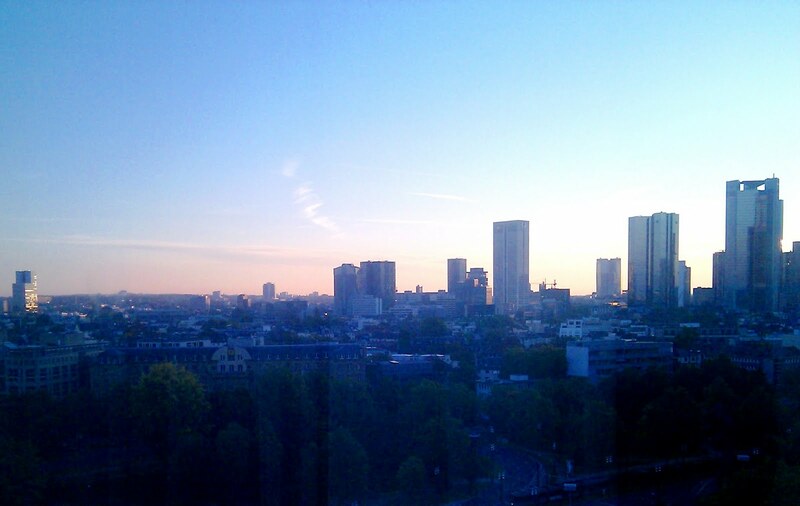 The accommodations were also pretty rad - below is the skyline of Frankfurt from my hotel room. A cab driver told me that since Frankfurt is on the Main river, and is a banking center, locals call it "Main-hattan". He also told me that the local specialty, apple wine, is very good for you, unless you drink too much of it and fall down and break your head. I think he meant it as a friendly warning. Anyway, I'm assuming this is sunset, but to be honest, I saw as many sunrises as I saw sunsets, so it's anybody's guess. I averaged about 3 hours of sleep a night, and I'm paying for it now. My room looked right down on the Buchmesse, which started with the building you see below and stretched for about a mile. The moving walkways in the various halls were lifesavers, but I'm still feeling the effects of four days in heels, albeit sensible ones. Highlights included anxiety-sweating my way through the night before my big presentation to what turned out to be some very laid-back publishers, dancing my booty off with my coworkers to Germany's finest cover band at the Spritzehaus, go-karting my way to a stiff neck, and then getting a very indulgent massage the next day. The massage included an intensive tummy rub, but I don't think I'm ready to talk about that yet. This morning I took a train from Frankfurt to Berlin, on which I had reserved a window seat. Turns out I managed to reserve a spot on the second Monday in November, which I found out when I got kicked out of my seat by a conductor who spoke no English and who apparently would not have been a good partner in Charades. I also thought my luggage had been stolen, but it had just been moved to a different rack by what I can only assume was a German trying to use the space more efficiently. So I sat in the vestibule between cars for an hour or so, until a nice woman came and told me there were seats open that I could snag. 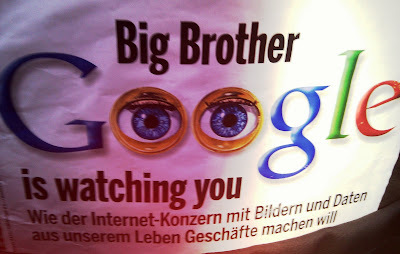 When I got to Berlin I grabbed a taxi to Caitlin's apartment, and noticed en route a magazine in the backseat. Welcome to Berlin, Genevieve! I actually have no complaints, aside from my volume of snot output right now. Head cold begone.